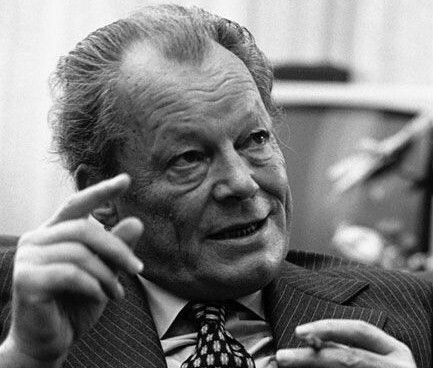 Arguably the most comprehensive and solutions-oriented analysis of critical global economic issues to date was a report by the Independent Commission on International Development Issues, chaired by Willy Brandt (former Chancellor of West Germany) in 1980 - widely referred to as the 'Brandt Report'. The report, entitled North-South: A Programme for Survival , received much publicity and broad acceptance as a pragmatic way for nations to reduce economic disparities between the rich North and developing South. However, the proposals put forward by the eminent and diverse members of the Commission were never adopted by governments due to the Cold War and a collective lack of political will among world leaders. The Brandt Report was updated in 2001 by James B. Quilligan, who was the director of Brandt Commission Research, a public information agency on the Independent Commission on International Development Issues between 1980 and 1987. His report, 'The Brandt Equation - 21st Century Blueprint for the New Global Economy' can be downloaded here as a PDF file. The report remains an extremely informative publication written from a truly humanitarian perspective by a body of people with great expertise in this field, and we present a summary of it below. Members: Abdlatif Y. Al-Hamad (Kuwait), Rodrigo Botero Montoya (Columbia), Antoine Kipsa Dakoure (Upper Volta), Eduardo Frei Montalva (Chile), Katherine Graham (USA), Edward Heath (UK), Amir H. Jamal (Tanzania), Lakshmi Kant Jha (India), Khatijah Ahmad (Malaysia), Adam Malik (Indonesia), Haruki Mori (Japan), Joe Morris (Canada), Olof Palme (Sweden), Peter G. Peterson (USA), Edgard Pisani (France), Shridath Ramphal (Guyana), Layachi Yaker (Algeria). Ex – Officio Members: Jan Pronk (Netherlands), Goran Ohlin (Sweden), Dragoslav Avramovic (Yogoslavia). The best selling book to date on International Development issues, the Brandt Report is a broad based analysis of the state of the world, with a necessary emphasis on the failure of the world economic system to provide social and economic equality for humanity. It highlights the economic trends that need to be reversed, and the solutions and strategies that urgently need to be implemented to resolve the income disparity between the Northern and Southern Hemispheres, financial and economic instability, and the growing problem of global poverty. Comprised of a remarkable group of accomplished, international leaders and statesmen, the Brandt Commission emphasise the mutual interest for developed and developing countries to deal with, once and for all, the most urgent challenges of our time in order to survive the “immense risks threatening mankind”. Cooperation was the tool to create change and facilitate world wide growth and development, the main objective of development being “to lead to self-fulfillment and creative partnership in the use of a nation’s productive forces and its full human potential”. To enforce one nation’s model of development onto another was deemed unnecessary. Above all the report was an appeal to all world leaders and people from every strata of life to participate in the shaping of our common future. Analysing the mutual interplay of manufacturing, trading and other priorities between the North and South, the commission advocates a large scale transfer of resources from North to South in order to revive a failing world economy. However, the view that the rich nations’ main role in the struggle to end poverty is to supply aid is strongly rejected by the commission, in favour of restructuring the global economy to allow developing countries to facilitate their own economic growth and development. An historical outline of the establishment of the United Nations, the IMF, the World Bank and the WTO, and their development since Bretton Woods helps to put into perspective the current trends and issues affecting the global economy. The commission charts the recognition in the 1950s that international trade occurred on unequal terms and hindered economic development in poor countries. This spurred numerous attempts by allied groups of developing countries to challenge the trade regime and demand for a restructuring of the international financial system. It also becomes clear that the South’s attempts to pursue such change were ultimately futile. The 70’s saw high inflation, modest recession and the crumbling of the Bretton Woods system with the divorce of the dollar from the stability of gold. Since 1973, after the price of crude oil quadrupled, the economic growth fell by around 50% in many industrialised countries, and has struggled ever since to regain its earlier buoyancy. By 1979 unemployment soared to over 18 million in OECD countries, exchange rates were erratic and protectionism was on the increase. Barriers and tariffs went up in the major markets and commodity prices and earnings were extremely unstable. The world economy clearly needed reforming. In particular, countries in the South needed to secure political and economic independence and to trade on fairer terms with rich countries. The Commission outlines how transnational corporations were able to survive at the expense of developing countries. Levels of international aid to developing countries were low and government borrowing increased dramatically, although the finance raised was not used where it was most needed for developing countries to achieve greater self sufficiency. There were many international conferences on structural reform, efforts to stabilise commodity prices and deal with debt problems, but progress was minimal. The Commission argues that although the nature of internal structural reform will vary widely from country to country, economic development will require a profound transformation of the entire international economic system. They emphasise the importance of human dignity, security, justice and equity as equally valid measures of development as financial betterment. The extent and consequences of poverty in poorer countries is highlighted; the World Bank estimate that 800 million people in the third world lived in absolute poverty at the time, some 40 % of the South’s population not being able to secure the most basic necessities of life. A differentiation is made between poverty in the North, where the relatively high levels of wealth could be redistributed more effectively, and the acute poverty of the South, where there is less wealth to redistribute and very little opportunity to acquire more. Striving economies of the poorer nations, reliant upon their agricultural exports, are faced with an unfavourable international trade regime and erratic markets, which undermine their ability to promote structural transformation. The report also highlights newly industrialised countries, such as those in Latin America and South East Asia, which have been achieving good rates of growth but are still dependant on global economic management strategies. Health: Although life expectancy has increased in the third world, the report links a number of crucial issues to a dysfunctional global economy and provides shocking statistics on the lack of access to medical care, clean water and sanitation. Housing: With populations shifting away from the countryside and into cities, alongside high birth rates and widespread unemployment and poverty, up to two-thirds of all families in some third world cities remain unable to afford basic housing. Education: Although there had been consistent progress in the number of children attending school in developing countries, the enrolment of girls was significantly low and levels of illiteracy in 34 countries were at 80%. The Commission considers all the above needs as indivisible and argues that the only way to ensure that they are addressed is by “helping the economies of these countries to grow and industrialise so that they will increasingly be in a position to help themselves”. The Commission argue that this would only be possible with increased collaboration between North and South and changes in the international economic environment. Acknowledging the massive inequality between sexes in the developing world, the commission argue that development depends upon women and criticises many aspects of modernisation which only serve to reinforce the dominant role of men in society. This is especially the case in production oriented societies. An important objective of any developmental project should be to encourage the education and employment of women by freeing them from tasks such as fetching water and firewood from sources which are many miles away. Even the distribution of healthcare is biassed against women, especially pregnant women, since decision making processes are almost always in the hands of men. The commission argue that the role of women is fundamental to society and yet statistically their value is not taken into account. The commission set out to prove that the 'principal of mutual interest' can be served, although in order to achieve a true sharing of the world’s power and resources, the true motives must be “human solidarity and a commitment to international social justice”. In identifying these mutual interests, the report suggests that there is insufficient public knowledge of the facts. The media often reports on the threat that the South’s growing industries pose to the North’s markets, without mentioning the North’s markets in the South, and how trading with the South accounts for a large share of jobs in the North and keeps prices affordable for consumers.The report underlines the political reasons for working against mutual interest. In order to redress the imbalance, it must be accepted that both sides cannot benefit equally - a fact which often cases prevents successful economic negotiations. A convincing argument of how economic growth in the South has a directly positive global effect is put forward. A large scale transfer of funds from the North to the South would have an anti-inflationary effect on the North, would help the world economy out of recession in the short-term and contribute to greater growth in the long-term. Overall this would significantly expand world trade and directly support growth in developing countries, thereby increasing economic prosperity and employment in the North, and stabilising financial markets. The report highlights how protectionism in the North restricts the South’s access to markets. This then has an inflationary impact on the North as consumers pay more for their goods. The result is that the South does not have the funds to buy from the North, fuelling recession and unemployment in the North, since the industrialised nations are largely dependant upon selling to the markets in the South. North-South trade is a two way street. Short-term protectionist measures of the North need to be replaced with strategies for coping with the reality of international competition. Stabilisation of commodity prices, financial and monetary systems as well as issues relating to energy, environment and food are all cited as areas of common interest. The Commission also propose the establishment of ‘A Society of Nations’ based on international justice and concern for less fortunate members of such a society, with the issue of world peace and disarmament high on the agenda. Overall this chapter details the interconnected nature of the global economy and highlights the fact it is the self-interest of the North which needs to be sacrificed in the short-term if they are to ensure their own survival as well as that of the South. This need for change is presented as a moral imperative which, if not observed, will result in the reciprocal impoverishment of the world at large. An action programme must be launched comprising of emergency and longer-term measures, to assist the poverty belts of Africa and Asia and particularly the least developed countries. Measures would include large regional projects of water and soil management; the provision of health care and the eradication of such diseases as river-blindness, malaria, sleeping sickness and bilharzias; afforestation projects; solar energy development; mineral and petroleum exploration; and support for industrialization, transport and other infrastructural investment. Such a programme would require additional assistance of at least $4 billion per year for the next two decades, at grant or special concessional terms, assured over long periods and available in flexibly usable forms. New machinery is required on a regional bias to coordinate funding and to prepare plans in cooperation with lending and borrowing countries. Greater technical assistance should be provided to assist such countries with the preparation of programmes and projects. There must be an end to mass hunger and malnutrition. The capacity of food-importing developing countries, particularly low-income countries, to meet their food requirements should be expanded and their mounting food import bill reduced through their own efforts and through expanded financial flows for agricultural development. Special attention should be given to irrigation, agricultural research, storage and increased use of fertilizer and other inputs, and to fisheries development. Agrarian reform is of great importance in many countries both to increase agricultural productivity and to put higher incomes into the hands of the poor. International food security should be assured through the establishment of an International Grains Agreement, larger international emergency reserves, and the establishment of a food financing facility. Food aid should be increased and linked to employment promotion and agricultural programmes and projects without weakening incentives to food production. Liberalization of trade in food and other agricultural products within and between North and South would contribute to the stabilization of food supplies. Support for international agricultural research institutions should be expanded with greater emphasis given to regional cooperation. In view of the vicious cycle between poverty and high birth rates the rapid population growth in developing countries gives added urgency to the need to fight hunger, disease, malnutrition and illiteracy. We also believe that development policies should include national population programmes aiming at a satisfactory balance between population and resources and making family planning freely available. International assistance and support of population programmes must be increased to meet the unmet needs for such aid. The many migrant workers in the world should be assured fair treatment, and the interests of their home countries and the countries of immigration must be reconciled. Governments should seek bilateral and multilateral cooperation to harmonize their policies of emigration and immigration, to protect the rights of migrant workers to make remittances more stable and to mitigate the hardships of unanticipated return migration. The rights of refugees to asylum and legal protection should be strengthened. We also believe that commitments to international cooperation in the resettlement of refugees in the future will be necessary to protect countries of first asylum from unfair burdens. The strain on the global environment derives mainly from the growth of the industrial economies, but also from that of the world population. It threatens the survival and development opportunities of future generations. All nations have to cooperate more urgently in international management of the atmosphere and other global commons, and in the prevention of irreversible ecological damage. Ocean resources outside the ‘exclusive economic zones’ of 200 miles should be developed under international rules in the balanced interests of the whole world community. The public must be made more aware of the terrible danger to world stability caused by the arms race, of the burden it imposes on national economies, and of the resources it diverts from peaceful development. The mutual distrust which stimulates the arms race between East and West calls for continuing the process of détente through agreements on confidence-building measures. All sides should be prepared for negotiations (including those on the regional level) to get the arms race under control at a time before new weapons systems have been established. The world needs a more comprehensive understanding of security which would be less restricted to the purely military aspects. Every effort must be made to secure international agreements preventing the proliferation of nuclear weapons. A globally respected peace keeping mechanism should be built up – strengthening the role of the United Nations. In securing the integrity of states such peace keeping machinery might free resources for development through a sharing of military expenditure, a reduction in areas of conflict and of the arms race which they imply. Military expenditure and arms exports might be one element entering into a new principle for international taxation for development purposes. A tax on arms trade should be at a higher rate than that on other trade. Increased efforts should be made to reach agreements on the disclosure of arms exports and exports of arms-producing facilities. The international community should become more seriously concerned about the consequences of arms transfers or of exports of arms producing facilities and reach agreement to restrain such deliveries to areas of conflict or tension. More research is necessary on the means of converting arms production to civilian production which could make use of the highly skilled scientific and technical manpower currently employed in arms industries. In any assault on international poverty, social and economic reforms within developing countries must compliment the critical role to be played by the international environment for development, which itself needs to be made more favourable. In countries where essential reforms have not yet taken place, redistribution of productive resources and incomes is necessary. A broader package of policy improvements would include expansion of social services to the poor, agrarian reform, increased development expenditures in rural areas, stimulation of small scale enterprises, and better tax administration. Such measures are necessary for satisfying elementary needs and for increasing productivity, particularly in rural areas. The strengthening of indigenous technological capacity often requires a more scientific basis in education, the encouragement of a domestic engineering industry, increased emphasis on intermediate technology and the sharing of experience. Improved economic management and the increased mobilization of domestic resources are essential to the promotion of development. In many countries there is scope for improvements in such fields as taxation policies, public administration and the operation of the pricing system. Wider participation in the development process should be encouraged; measures to achieve this could include decentralised governmental administrative systems and support for relevant voluntary organisations. Regional and sub regional integration, or other forms of closer cooperation, still offer a viable strategy for accelerated economic development and structural transformation among developing countries, especially the smaller ones. It supports industrialization and trade expansion and provides opportunities for multi-country ventures. Developing countries should take steps to expand preferential trade schemes between themselves. This could be encourages by such measures as the untying of aid. Developing countries should give special attention to the establishment and extension of payments and credit arrangements among themselves to facilitate trade and to ease balance of payment problems. The emergence of capital-surplus developing countries provides special scope for the establishment of projects on the basis of tripartite arrangements involving developing countries alone or in partnership with industrialized countries. Such arrangements should be supported by both developed and developing countries. Tripartite projects – including where appropriate, industrialized countries – should be encouraged by nations with complementary resources such as capital and technology. Developing countries should consider what forms of mutual assistance organization might help them to participate more effectively in negotiations and in the work of international organizations and to promote economic cooperation among themselves. Measures to facilitate the participation of developing countries in processing and marketing should include the removal of tariff and other trade barriers against developing countries’ processed products, the establishment of fair and equitable international transport rates, the abolition of restrictive business practices, and improved financial agreements for facilitating processing and marketing. Adequate resources should be provided to enable the Common Fund to encourage and finance effective International Commodity Agreements which would stabilize prices at remunerative levels; to finance national stocking outside ICAs; and to facilitate the carrying out of Second Window activities such as storage, processing, marketing, productivity improvement and diversification. Compensatory financing facilities should be expanded and improved to provide more adequately for shortfalls in real commodity export earnings. The mutual interests of producing and consuming countries in the development of mineral resources requires the creation of new financial agreements, leading to more equitable and stable mineral development agreements, greater assurance of world mineral supplies and increased developing-country participation in their resource development. A new financing facility, whose primary function will be to provide concessional finance for mineral exploration, should be established on the basis of a global responsibility for investment in mineral development. An orderly transition is required from high dependence on increasingly scarce non-renewable energy sources. Immediate steps towards an international strategy on energy should be taken as part of the Emergency Programme recommended in the final chapter of this report. Prices which reflect the long term scarcities will play an important part in this transition; orderly and predictable price changes are important to facilitate a smooth development of the world economy. Special arrangements including financial assistance should be made top ensure supplies to poorer developing countries. International and regional financial agencies must increase substantially their financing of exploration and development of renewable energy resources. A global energy research centre should be created under UN auspices to coordinate information and projections and to support research on new energy resources. The industrialisation of developing countries, as a means of their overall development efforts, will provide increasing opportunities for world trade and need not conflict with the long term interests of developed countries. It should be facilitated as a matter of international policy. Protectionism threatens the future of the world economy and is inimical to the long term interests of developing and developed countries alike. Protectionism by industrialized countries against the exports of developing countries should be rolled back; this should be facilitated by improved institutional machinery and new trading rules and principles. Adjustments to new patterns of world industrial production should be accepted as a necessary and desirable process. Industrialised countries should vigorously pursue positive and time-bound adjustment programmes developed through international consultation and subject to international surveillance. Safeguard measures must be internationally negotiated and should be taken only on the basis of established need. They should be non discriminatory, of limited duration and subject to international surveillance. The Generalized System of Preferences should be eased in respect of its rules of origin, its expectations and its limits. It should be extended beyond its present expiration and not be liable to unilateral termination. Financial support and technical assistance should be given to the poorer countries to facilitate their establishment of improved commercial infrastructure and their participation in international trade negotiations. Fair labour standards should be internationally agreed in order to prevent unfair competition and to facilitate trade liberalization. An international trade organization incorporating both GATT and UNCTAD is the objective towards which the international community should work. Meanwhile, there is a need for improvements in existing arrangements including wider development of trade cooperation in such matters as the establishment and administration of rules, principles and codes covering restrictive business practices and technology transfer. Reciprocal obligations on the part of host and home countries covering foreign investment transfer of technology, and repatriation of profits, royalties and dividends. Legislation coordinated in home and host countries, to regulate transnational corporation activities in matters such as ethical behavior, disclosure of information, restrictive business practices and labor standards. Intergovernmental cooperation in regard to tax policies and the monitoring of transfer pricing. Harmonization of fiscal and other incentives among host developing countries. In addition to improved access to international development finance, the bargaining capacity of developing countries, particularly the smallest and least developed countries, vis-à-vis the transnational corporations should be strengthened with the technical assistance now increasingly available from the UN and other agencies. Permanent sovereignty over natural resources is the right of all countries. It is necessary, however, that nationalization be accompanied by appropriate and effective compensation, under internationally comparable principles which should be embodied in national laws. Increasing use should also be made of international mechanisms of settling disputes. Greater international, regional and national efforts are needed to support the development of technology in developing countries and the transfer of appropriate technology to them at reasonable cost. There should be increased efforts in both rich and poor countries to develop appropriate technology in the light of changing constraints regarding energy and ecology; the flow of information about such technology should be improved. The international aid agencies should change those of their practices which restrict the recipients’ freedom to choose technology, and should make more use of local capacities in preparing projects. The reform of the international monetary system should be urgently undertaken by all interested parties building on the large measure of consensus which emerged in the Committee of Twenty, and taking account of current difficulties and dangers. Reform involves improvements in the exchange rate regime, the reserve system, the balance of payments adjustment process, and the overall management of the system which should permit the participation of the whole international community. Mechanisms should be agreed for creating and distributing an international currency to be used for clearing and settling outstanding balances between central banks. Such a currency would replace the use of national currencies as international reserves. It could take the form of an improved Special Drawing Right, and could be facilitated by an appropriately designed ‘substitution account’. New SDRs should be created by to the extent called for by the need for non-inflationary increases in world liquidity. The distribution of such unconditional liquidity should favor the developing countries who presently bear high adjustment burdens. Such a distribution – often referred to as an SDR link – would also assist the adjustment process of the international monetary system. There should be agreement on an adjustment process which will not increase contractionist pressures in the world economy. The adjustment process of developing countries should be placed in the context of maintaining long-term economic and social development. The IMF should avoid inappropriate or excessive regulation of their economies, and should not impose highly deflationary measures as standard adjustment policy. It should also improve and greatly extend the scope of its compensatory financing facility, for example by relaxing quota limits, measuring shortfalls in real terms and making repayment terms more flexible. Surplus countries should accept greater responsibility for payments adjustments, and IMF measures to encourage this should be considered. Increased stability of international exchange rates, particularly among key currencies, should be sought through domestic discipline and coordination of appropriate national policies. The participation of developing countries in the staffing, management and decision-making of the IMF should be enlarged. In furthering the demonetization of gold, the bulk of the IMF gold stock should, after the completion of the present sales arrangements, be used as collateral against which the IMF can borrow from the market for onward lending particularly to middle-income developing countries. Staggered sales should also be undertaken and accruing profits of such sales should also be used as interest subsidy on loans to low-income developing countries. Projects and programmes to alleviate poverty and to expand food production, especially in the least developed countries. Exploration and development of energy and mineral resources. Stabilization of the prices and earnings of commodity exports and expand domestic processing of commodities. An international system of universal revenue mobilization, based on a sliding scale related to national income, in which East European and developing countries – except the poorest countries- would participate. The adoption of timetables to increase Official Development Assistance from industrialized countries to 0.7 per cent of GNP by 1985, and to 1% before the end of the century. Introduction of automatic revenue reserves through international levies on some of the following: international trade, arms production or exports; international travel; the global commons, especially sea bed minerals. Effective utilization of the increased borrowing capacity of the World Bank resulting from the recent decision to double its capacity to $80 billion. Doubling the borrowing-to-capital ratio of the World Bank from its present gearing of 1:1 to 2:1, and similar action by Regional Development Banks. Abstaining from the imposition of political conditions on the operations of multilateral financial institutions. Channelling an increased share of development finance through regional institutions. A substantial increase in programme lending. The use of IMF gold reserves either for further sales, whose profits would subsidize interest on development lending, or as collateral to borrow for on lending to developing countries. Giving borrowing countries a greater role in decision making and management. Resource transfers should be made more predictable by long term commitments to provide ODA, increasing use of automatically mobilized revenues and the lengthening of the IDA replenishment period. Consideration should be given to the creation of a new international financial institution – a World Development Fund – with universal membership, and in which decision making is more evenly shared between lenders and borrowers, to supplement existing institutions and diversify lending policies and practices. The World Development Fund would seek to satisfy the unmet needs in the financing structure, in particular that of programme lending. Ultimately it could serve as a channel for such resources as may be raised on a universal and automatic basis. There is a need for major additional multilateral finance to support mineral and energy exploration and development in developing countries. Some of this would come from existing institutions, but we believe that there is a case for a new facility for this purpose. The flow of lending from commercial banks and other private financial bodies to developing countries must be strengthened. Middle-income countries need special measures to lengthen the maturity of their debt structures and poorer developing countries should be enabled to borrow more easily in the market. The World Bank and other international financial institutions should assist this process by co-financing, by the provision of guarantees, and by using concessional funds to improve lending terms and reduce interest rates. Measures should be adopted to facilitate the placing of bonds by developing countries in international markets. These should include the removal of restrictions and the provision of guarantees and adequate arrangements for the assessment of risks. Policies, agreements and institutions in the field of international economic, financial and monetary cooperation should be guided by the principle of universality. The UN system, which faces ever-expanding tasks, needs to be strengthened and made more efficient. This calls for more coordination of budgets, programmes and personal policies, to avoid duplication of tasks and wasteful overlapping. The performance of the various multilateral organizations in the field of international development should be regularly monitored by a high-level advisory body. There needs to be a review of the present system of negotiations to see whether more flexible, expeditious and result-orientated procedures can be introduced without detracting from cooperation within established groups. Increased attention should be paid to educating public opinion and the younger generation about the importance of international cooperation. The occasional use of limited summit meetings should be considered to advance the cause of consensus and change. The report concludes that having examined the changes in the global economy and international relations over the past few decades, the world community has not adequately addressed basic issues such as “security and peace, development goals, the monetary system, protection of the environment, energy, and the control of space and ocean resources”. The commission argues that the world economy is functioning so poorly that it is damaging all nations. Over the next two decades, the combination of huge population growth with inflation, erratic exchange rates, protectionism and unemployment will challenge the very survival of humanity. The report states that global cooperation is the only way to address these issues, with sacrifices and adjustments necessary for all nations, but especially those nations who currently have a greater share of resources. A new international order must not only adjust to the complexities of society, but continually readjust to its changing nature with forethought and negotiation. The true impetus for this change can only come after the global public has been educated about the need to defend the basic human rights of all people and to demand justice, freedom and peace. Only then will the necessary political decisions be made by governments. The commission urges for bold and urgent action in creating a new international order, before it is forced upon the international community through its current instability. The report skillfully weaves together the diverse factors affecting the stability of the world (as mentioned in previous chapters), and paints a picture which the Commission describes as “alarming”. The Commission group together a range of crucial issues - from mass poverty and unemployment to poor economic growth and unfair trade - as the direct result of current international political and economic policies geared to the self interests of individual nations. Thus it places the responsibility with individual nations, North and South, East and West, who must now make long-term plans in cooperation with the international community to ensure justice for their people. The needs of the poorest countries must be given priority. Substantial resource transfers from industrialized countries and better economic management in developing countries are necessary in order to end poverty. Absolute poverty, hunger and malnutrition must be abolished through greater agricultural development and food production. International food security measures, external assistance and revised priorities are essential for this to occur. Third world countries must be able to process their own raw materials locally and participate in their own international marketing and distribution. This would strengthen their earnings from their commodities. Commodity prices also need to be stabilized against market fluctuations. Protectionist policies against third world competition must be replaced by positive, anticipatory restructuring”. Adjustment policies should be independently monitored. Mutual cooperation and trade between developing countries must also be encouraged. International codes and national law must control the restrictive business practices of transnational corporations and ensure a broader sharing of technology. Developing nations would benefit and stable relationships between host countries governments and these corporations would be promoted. The international monetary system is the key problem of the world economy and must be reformed. Exchange rates must be stabilized, symmetry in the burden of adjustment to balance of payments deficits and surpluses need to be established, and an orderly expansion of international liquidity is needed. Special Drawing Rights must be the principal reserve asset if monetary stability is to be increased. Essentially the report proposes a large scale transfer of resources to the South, and defines the legitimate need for the North to facilitate this. The poorest countries are in desperate need of this, the lower incomes countries need concessional finance in order to develop and middle income countries need support with their borrowing and debt management. Current annual official development assistance needs to be more than doubled and substantial additional market lending needs to be made available. A universal tax paid by all countries except the poorest, calculated on a sliding scale dependant upon national income. The resulting development fund “must be recognized as a responsibility of the whole world community, and placed on a predictable and long term basis”. Rich countries must commit themselves to reaching the current 0.7% GNP target, and timetable advancing this to 1% GNP by 2000. To further establish the principle of ‘global responsibility’ and co-management’ of the world economy, automatic levies on military expenditures, arms exports, international trade and revenues from the ‘global commons’ must be in place and may contribute to aid targets. The World Bank and Regional Development Banks must increase their lending capacity and be strengthened, with a higher proportion of financing channelled through Regional Development Banks. Borrowing for on-lending to developing countries should take place against the retained portion of the IMF gold reserves, with any profits used to subsidize the cost of borrowing by developing countries. The creation of a World Development Fund, with universal membership, would enable broader sharing in decision making and increase financing through programme lending. This Fund would serve as a channel for such resources as may be acquired through a universal taxation system. Mineral and energy exploration in developing countries requires major additional multilateral finance from existing institutions as well as a newly developed facility. Commercial banking systems and private financial bodies should continue adequate lending to the developing world. More reasonable terms are necessary for poorer and middle income countries to ensure adequate debt management. The World Bank must play its part. To facilitate this major transfer of finance, there must be broader sharing of power and decision making within financial institutions in favor of the developing world. Member governments must be willing to revise voting structures and be more sensitive to third world problems. It is particularly important for the World Bank to increase Third World representation within management and to decentralize operations and staff. Regional and sub-regional banks need to be better funded and managed, to increase their role in development finance. Better representation also applies to the IMF, who must also allow for a longer period of adjustment by borrowers. The present rigorous conditions on IMF loans can seriously affect a country’s ‘domestic, social and political objectives’. “Proliferation, duplication and waste” must be eliminated in the UN and its agencies. New ways are needed for them to “monitor and evaluate the performance of world institutions”, so that they can be made more accountable to the people and governments. -To assistance to poorest countries most threatened by the current economic crisis. -Provide for financing the deficits and debts of middle income countries. The Commission emphasises the need for a summit of leaders, with industrialized and developing countries fairly represented, with a common conviction and mutual interest. This would allow initiatives and concessions to be debated and agreed upon. “Whatever their differences and however profound, there is a mutuality of interest between North and South. The fate of both is immediately connected. The search for solutions is not an act of benevolence but a condition of mutual survival”. STWR would like to thank MIT Press for granting permission to reprint sections from the report.